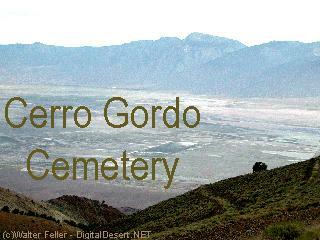 As a busy silver mining town Cerro Gordo had its fair share of deaths. 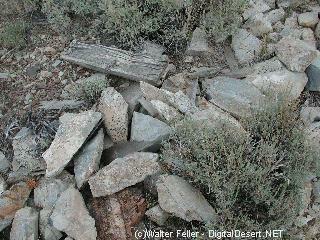 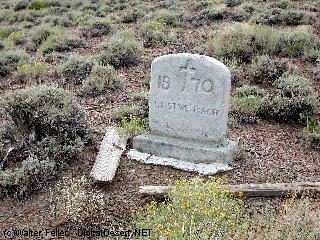 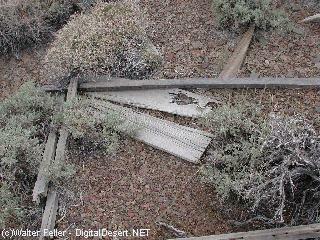 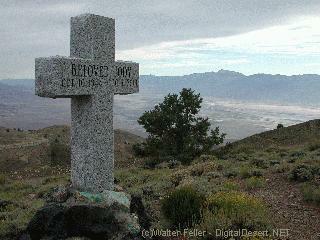 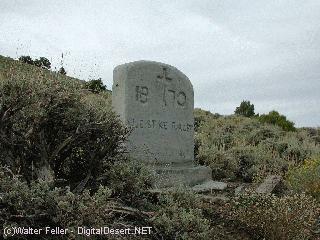 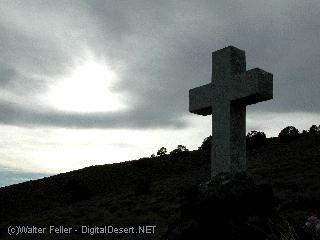 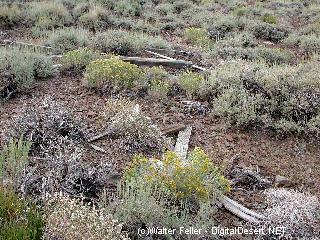 At one time several hundred graves were marked along the hill overlooking the Owens Lake. 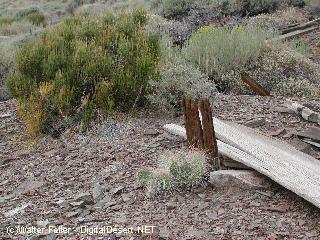 Now, only a few markers, piles of rocks and aged lumber remain.